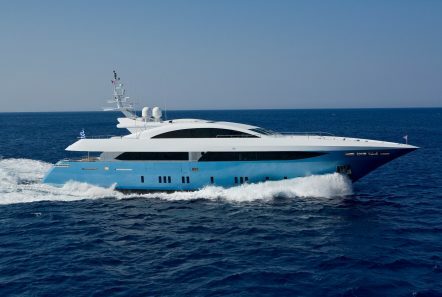 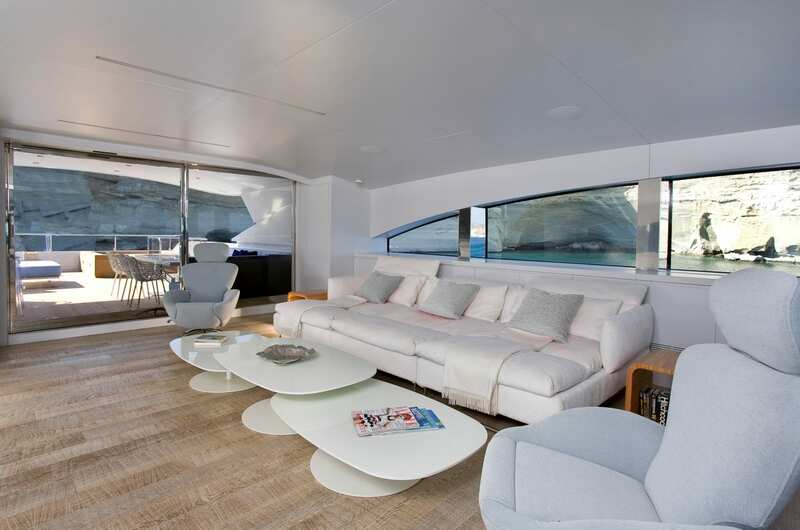 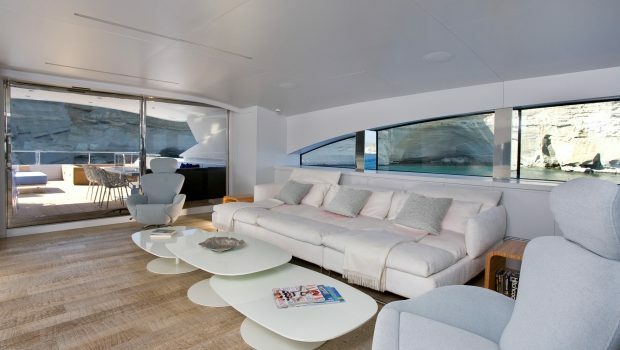 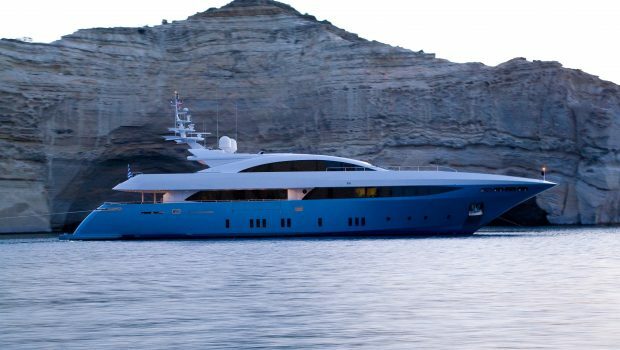 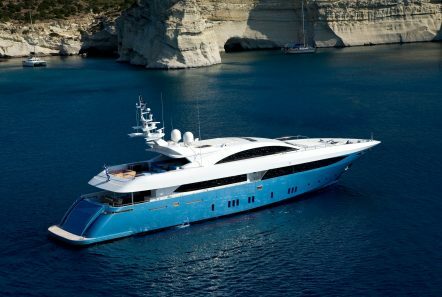 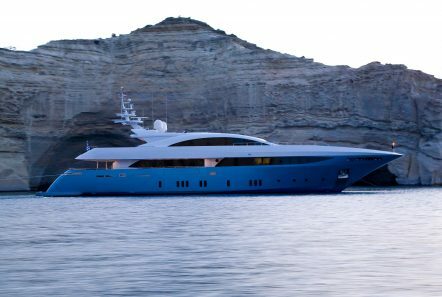 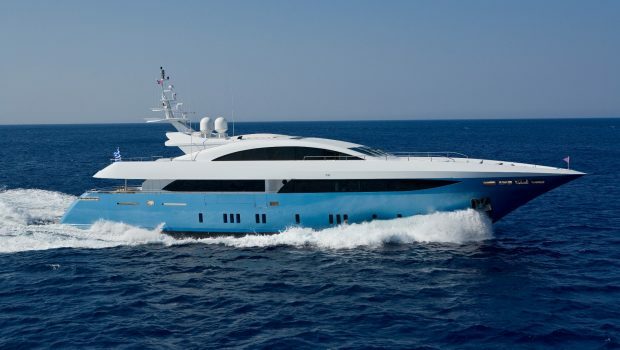 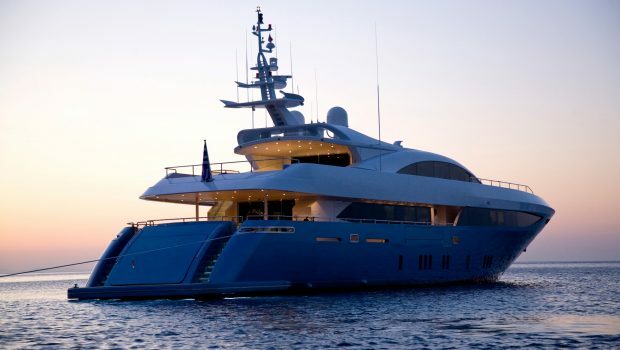 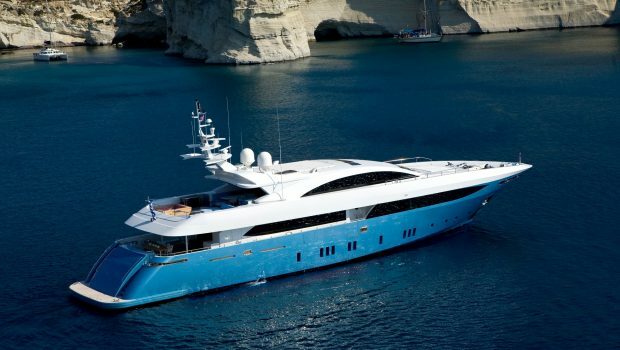 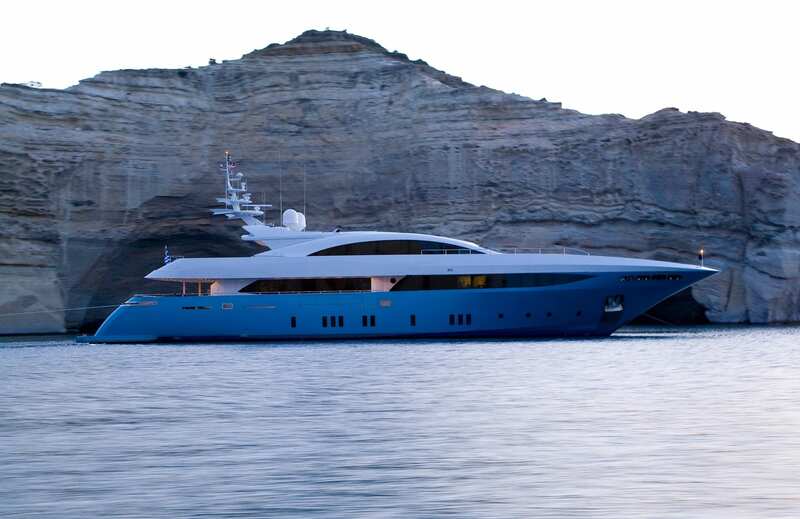 Barents Sea’ was built in 2008 by Mondomarine. 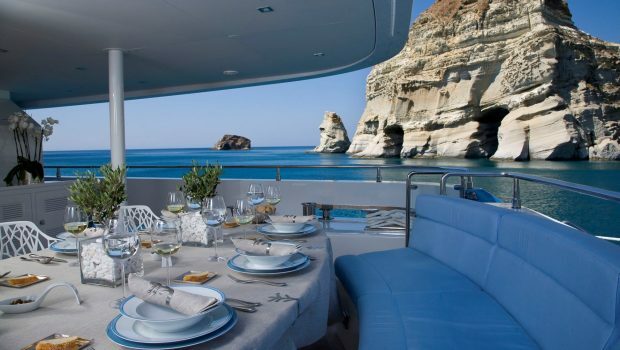 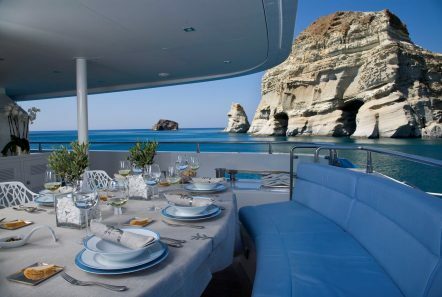 Previously named Panther 2, her luxurious interior was designed by Luca Dini Design and her exterior styling is by Studio Vafiadis. 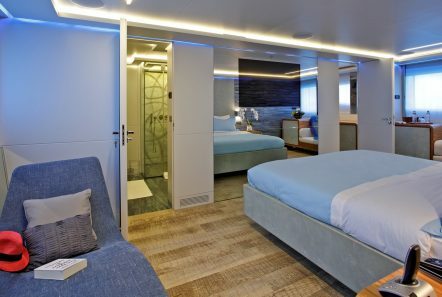 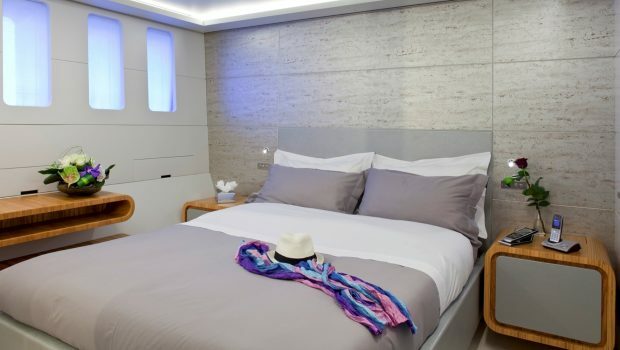 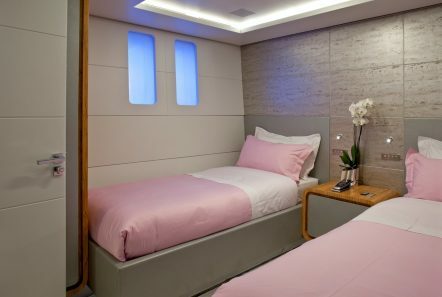 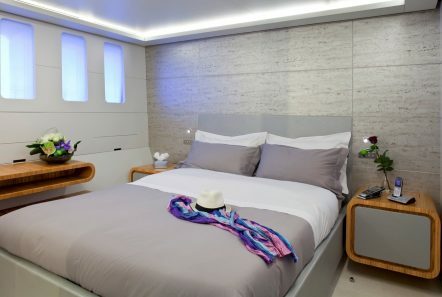 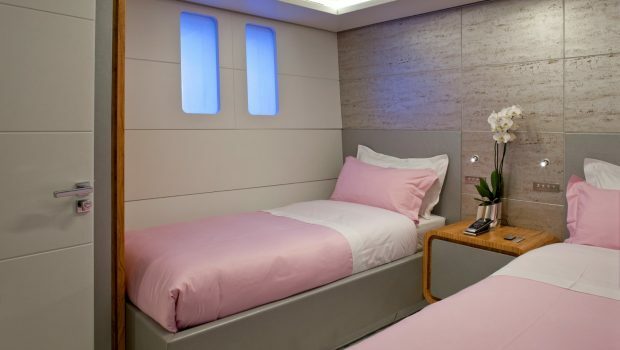 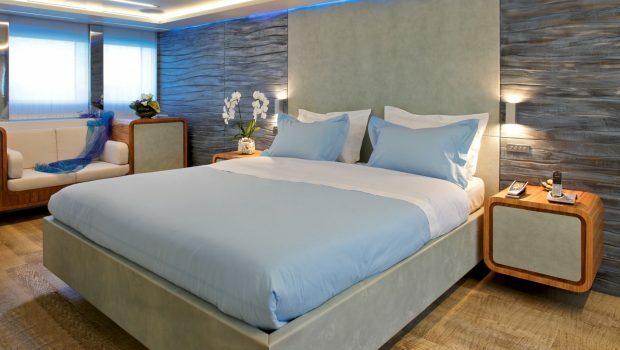 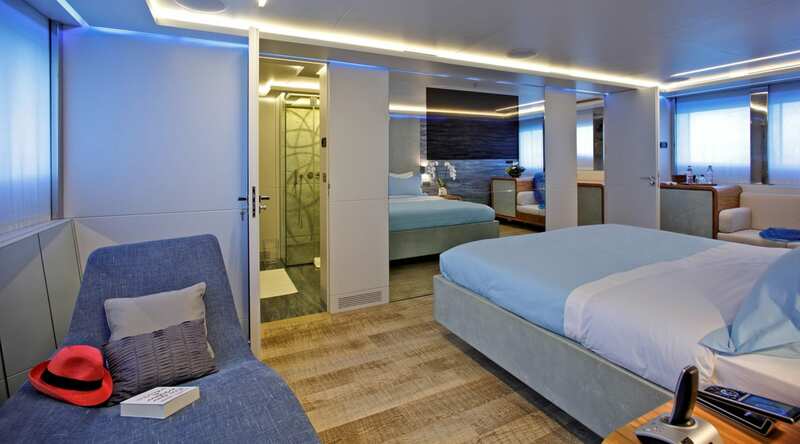 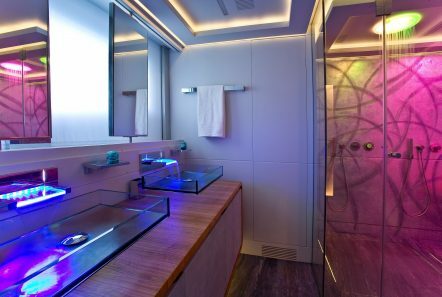 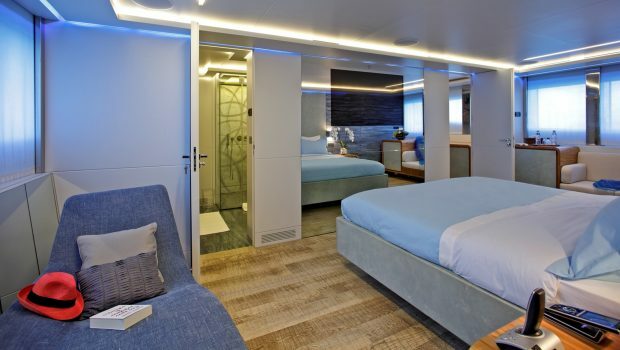 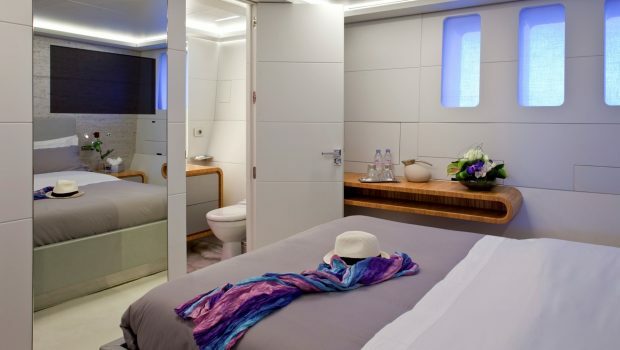 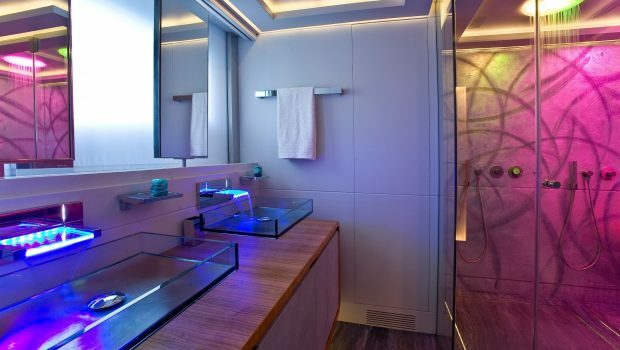 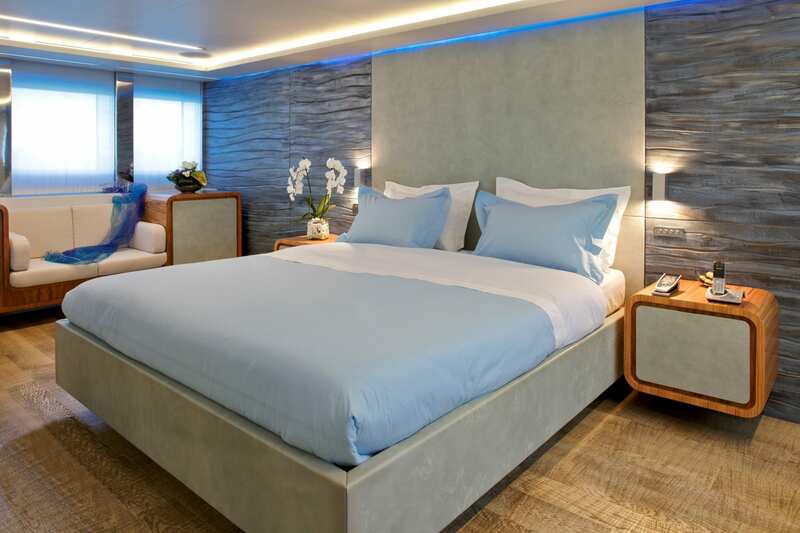 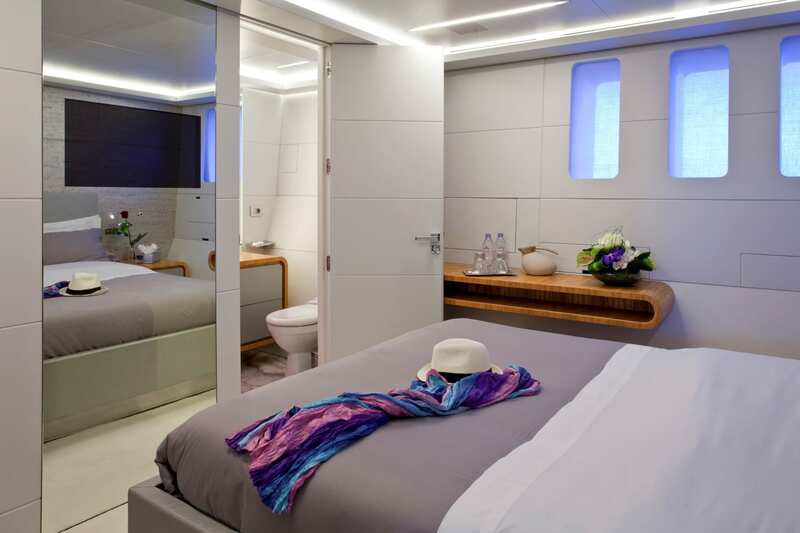 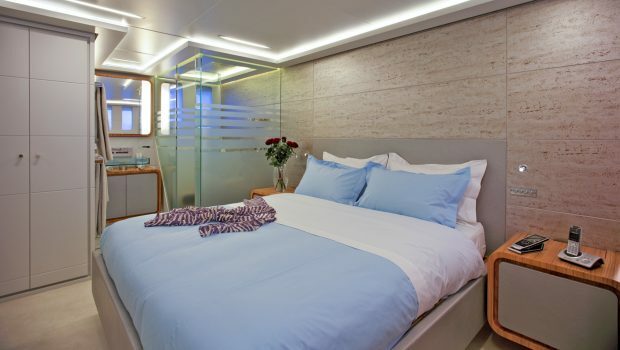 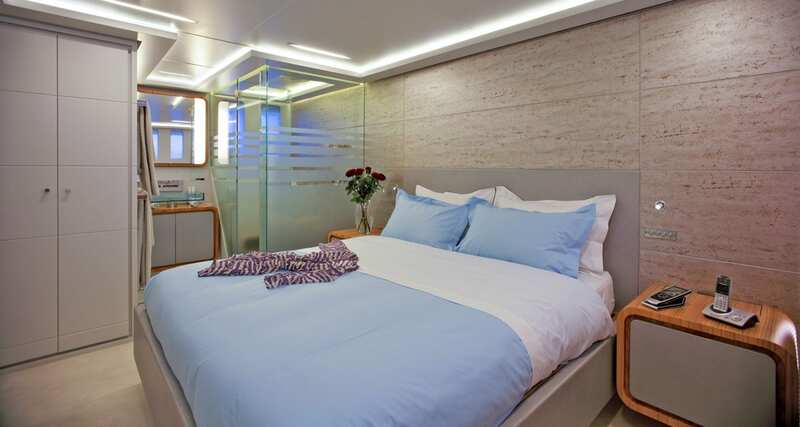 Barents Sea sleeps up to 12 guests in 6 staterooms, including one Master suite on the Main Deck, one VIP stateroom, two Double cabins and two Twin cabins on the Lower Deck, all with marvelous en-suite facilities with the new trend of Led Lighting where you can create unique atmospheres. 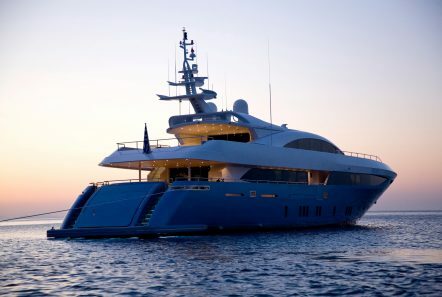 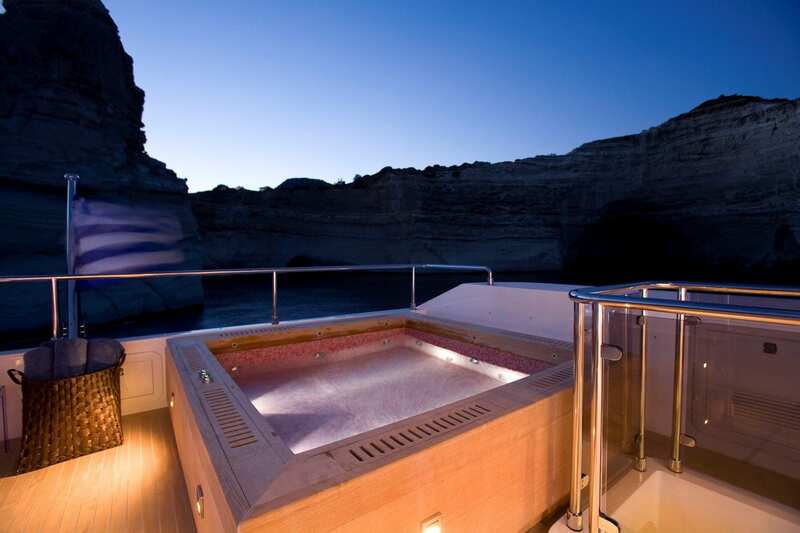 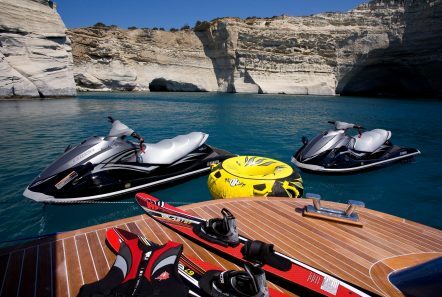 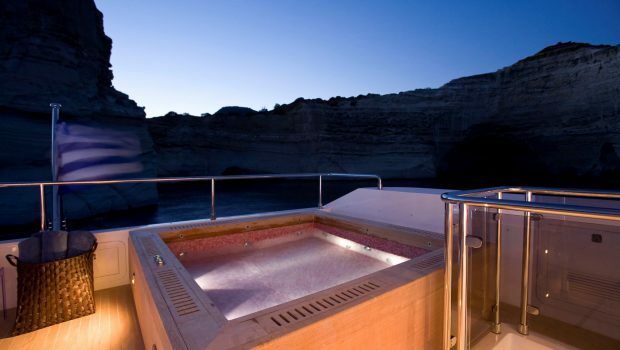 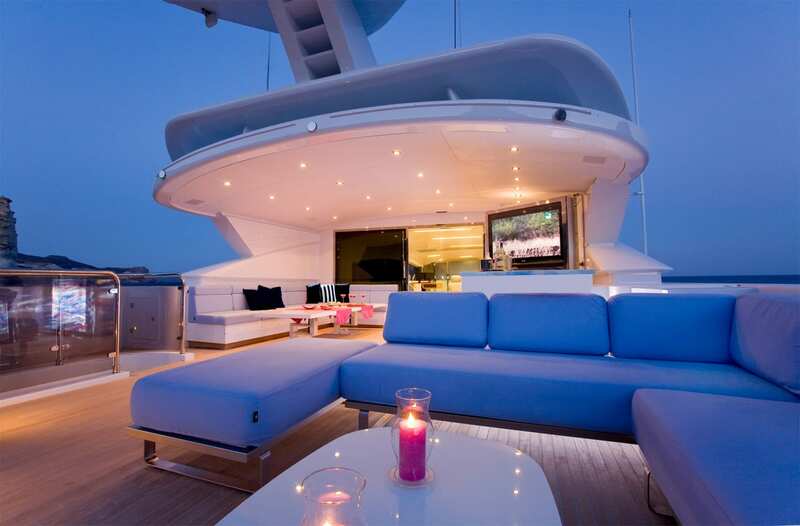 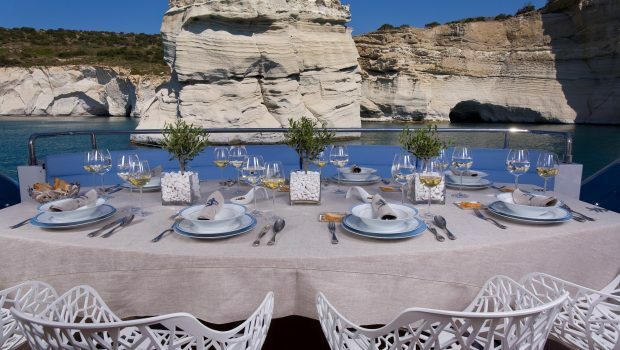 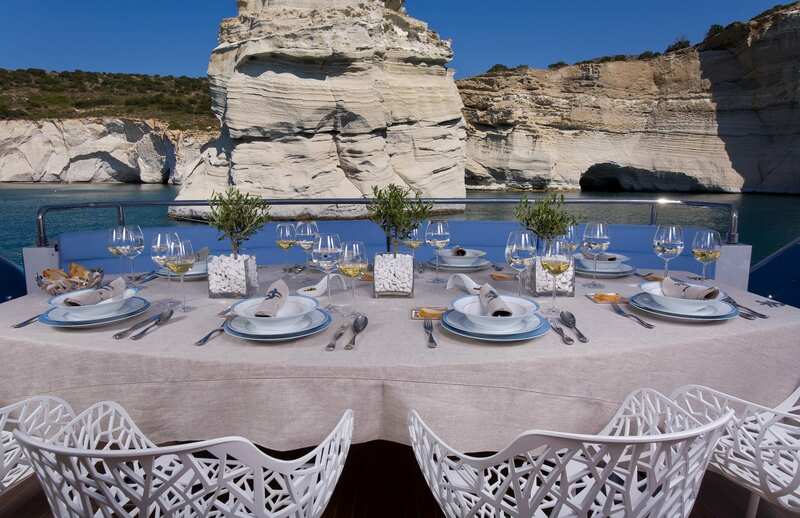 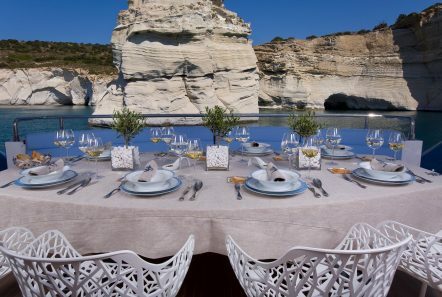 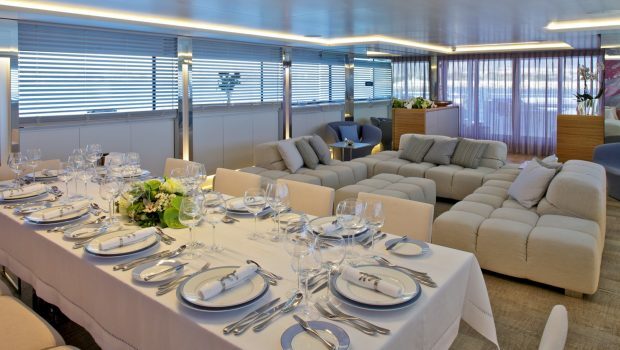 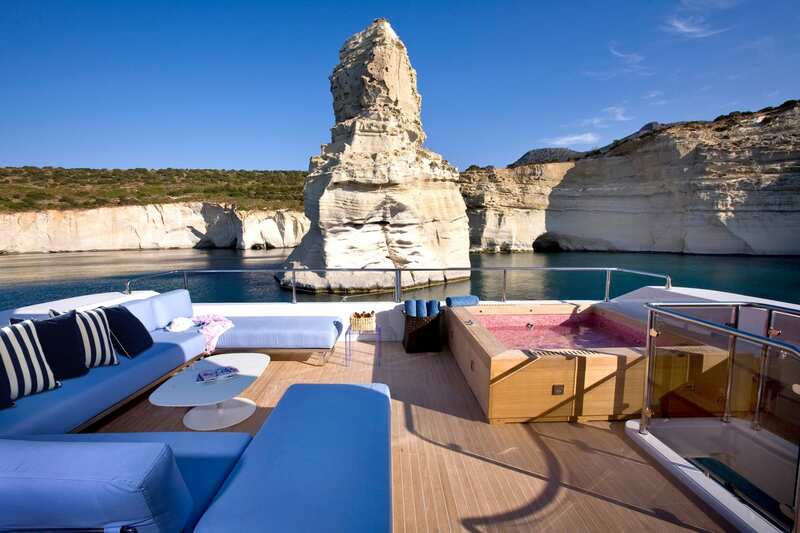 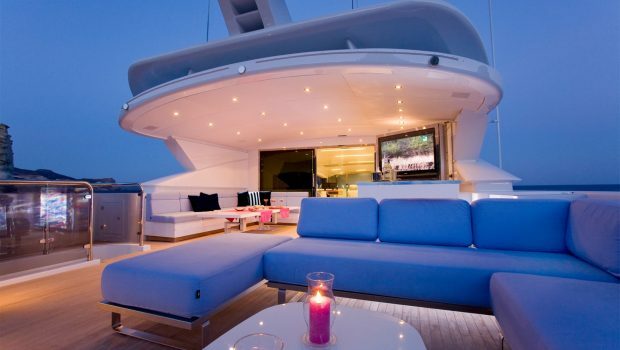 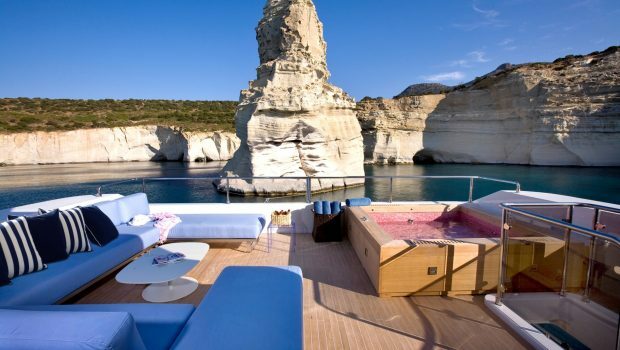 She has 8 crew on board to ensure a relaxed luxury yacht experience. 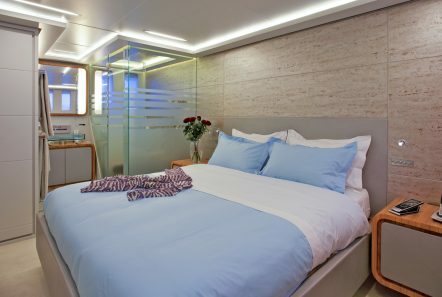 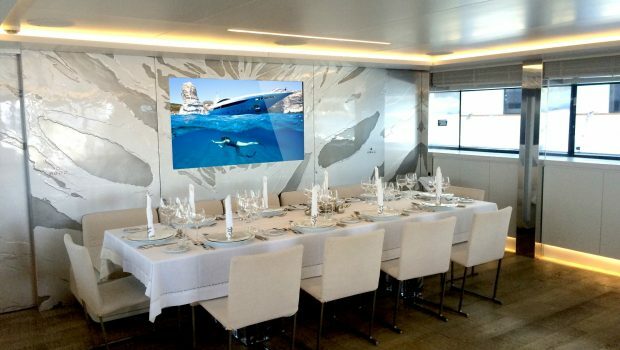 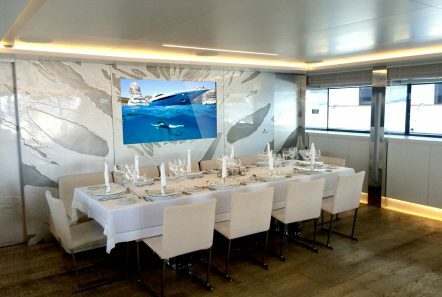 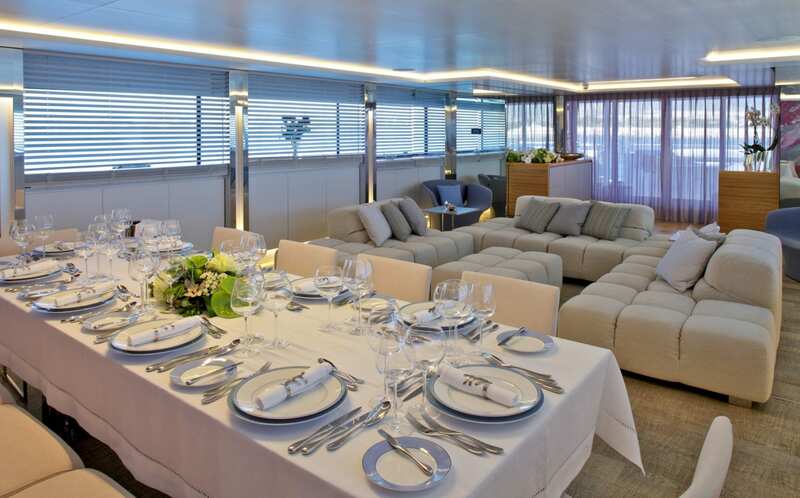 She has spacious indoor and outdoor areas, a Jacuzzi on the upper deck, an HD projector on the upper salon for movie nights, zero speed stabilizers and a superb lounge/sunbathing on the sundeck. 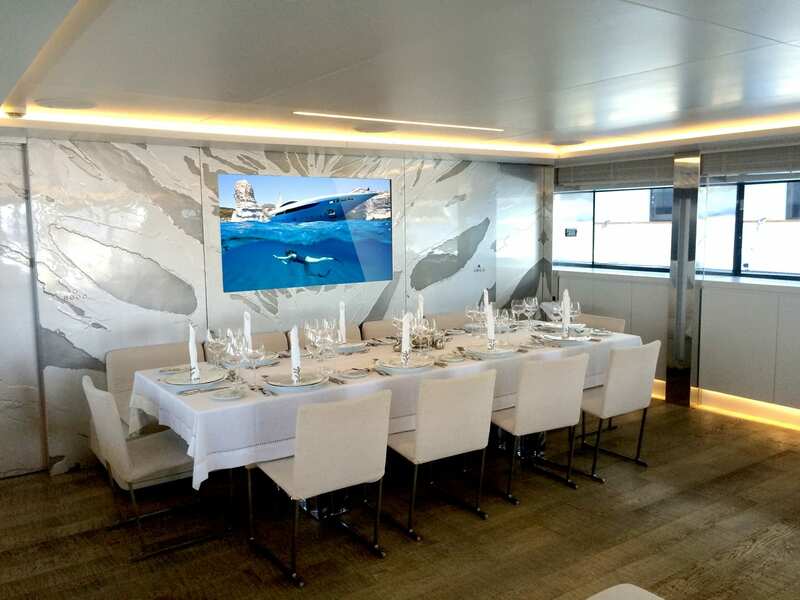 New High Definition Audio/Video Equipment, new Apple TV and amplifiers are found in the Salon with facilities connect your USB HD, cameras and smart Phones. 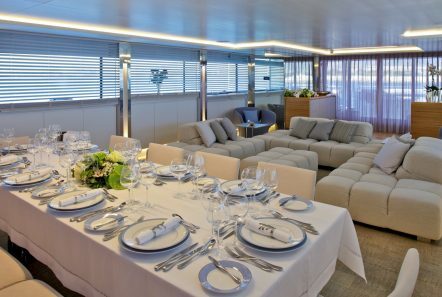 Barents Sea’s impressive leisure and entertainment facilities make her the ideal charter yacht for socializing and entertaining with family and friends. 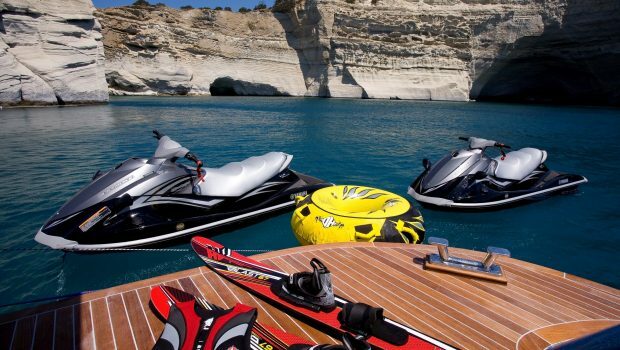 • 4 Seabobs F7 "Cayago"